Distracted driving is a primary threat and yet Florida lawmakers lag behind leaders in other states when it comes to enacting traffic-safety legislation. The IIHS observational roadside survey was conducted last year in Virginia, and witnessed a 57 percent increase in the number of motorists observed manipulating a cellphone, compared to a similar study conducted in 2014. Fewer drivers were seen talking on a hand-held phone as drivers increasingly turn to hands-free devices. Studies continue to show hands-free devices are not a safe alternative, because of the cognitive distraction of having a conversation while driving. However, physical manipulation of the phone also results in manual and visual distraction, which leaves motorists the most vulnerable to suffering a collision. 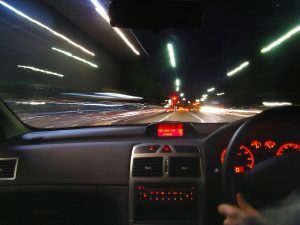 The latest report affirms a AAA Foundation for Traffic Safety study, which found that 64 percent of respondents consider distracted driving a much bigger problem today than it was three years ago. As we previously discussed, Florida lawmakers have been slow to adopt mandatory hands-free laws and other measures to keep devices out of the hands of motorists. When you add thousands of visitors and seasonal residents to Southwest Florida roads, the risks increase exponentially. Consulting an experienced injury attorney will best protect your rights in the immediate aftermath of a motor-vehicle collision. At Associates and Bruce L. Scheiner, Attorneys for the Injured, we have focused exclusively on the representation of personal injury and wrongful death victims right here in Southwest Florida since 1971. We have represented thousands of car accident victims over the years. A motorist does not have to be charged with a distracted driving violation to be found civilly responsible for injury and resulting damages. Most “accidents” occur because of a few common poor driving decisions by at-fault motorists. Consulting a law firm with extensive experience in traffic accident litigation will best allow you to determine the causes of a collision and to identify and hold those responsible accountable for damages.